A friend’s mother needs hearing aids. She has a daughter in the hearing industry, she has insurance to cover hearing aids, she holds a Ph.D. in molecular biology, and she is still overwhelmed and confused by where to go, what the options are, and what is best for her. Sound familiar? There is so much information—and disinformation—available about hearing aids that even some physicians are confused. As with any big purchase, selecting a hearing aid can be difficult and confusing if you don’t have the right information or know the correct questions to ask. Bring a copy of this checklist with you on your next appointment, and feel confident in your decision to improve your life through better hearing. 1. Where do I go for a hearing test? Most hearing loss (up to 90 percent) is a result of non-medically treatable issues. But that means as many as one in 10 people will have a medical issue associated with their hearing loss. If this is your first hearing evaluation it would be prudent to see your primary care doctor first, then be referred to a specialist for a diagnostic audiogram (hearing evaluation). Audiologists have a minimum of seven years of university training (master’s or doctorate level). Hearing instrument specialists can perform hearing tests but do not have the medical training to rule out medical issues—causes for hearing loss such as syndromes, Ménière’s disease, Usher Syndrome, sudden-onset, genetics, ototoxic drugs, etc. If you know that there is no medically treatable issue associated with your hearing loss, either type of provider should be fine. If you’re in doubt, ask your physician which professional they recommend. They might refer you to an ENT (ear, nose, and throat specialist, or otolaryngologist). 2. Where do I buy my hearing aids? Typically, once an audiologist or hearing instrument specialist has evaluated your hearing, you should be able to purchase your hearing aids from them. Requirements differ by state, but generally speaking the professional is trained in hearing aid selection, fitting, and care. Make sure you are comfortable with the quality of care and the options offered by the provider. If only one brand of hearing aid is available, that’s a red flag. Be sure your provider offers a range of choices, in all styles and at all price points. You can also opt to get a second opinion. This will give you additional provider choices, so you can go with the person with whom you feel most comfortable. After all, you will be starting a relationship that may last for years. 3. What style of hearing aid is best for me? Behind-the-ear (BTE); receiver-in-canal (RIC) (also known as receiver-in-the-ear, RITE): These are currently the most popular due to durability, comfort, and cosmetic appeal. They may be a bit more difficult to put in the ears at first, but since less of the circuitry is inside the ear, they usually offer more natural sound. Also, RICs can be discreet, with only the speaker wire visible at the top of the outer ear. life is better than that of their smaller, ITC cousins. 4. Which fidelity level is best for me? Once you have chosen your preferred style of device, you must choose the fidelity (technology) level of the computer chip in the hearing aid. This is where the cost differences in hearing aids become apparent. 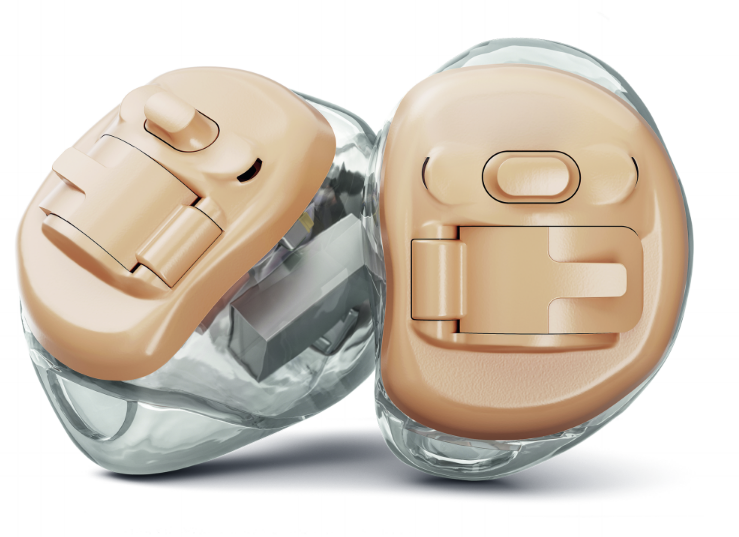 Most manufacturers have three levels of fidelity in their newest hearing aids as well as in their economy-priced models. The higher the level of technology, the better and faster the hearing aid can separate noise from speech. This means the speech and sound information passed to your brain is more accurate. Every level will help one-on-one conversations in quiet environments; the more advanced chips will boost clarity and noise reduction even more effectively. In most cases, get the best hearing aid you can afford, but don’t feel pressured into a decision. Take advantage of the 30- to 60-day trial period that is required in most states (in some cases paying a small fee to return the devices). 5. What other special functions do I need for better hearing? In the past few years, new features have emerged that have dramatically changed how we can interact with hearing aids. Rechargeable batteries: Rechargeable hearing aids are now available, requiring changing the battery only once every one to three years. These devices are recharged by placing the entire hearing aid unit on its charging dock. Not having to frequently manipulate the battery door is very helpful if you have vision or dexterity issues or if you tend to forget your batteries. Almost waterproof hearing aids: There are now hearing aids that are so waterproof they actually dry themselves when they get wet. They are also dust- and shock-resistant. These are great for people who frequently spend time outdoors or who just perspire a lot. While it is not recommended swimming with them, these devices should survive taking a shower if you forget to take them out. Bluetooth-enabled hearing aids: Many manufacturers now give you the ability to adjust your hearing aids with your smartphone, using Bluetooth wireless connectivity. You may even be able to stream sound directly to your hearing aids without the use of an additional device like a neck loop. If you’re tech-savvy, this may be for you. 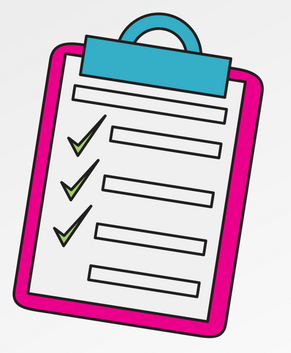 Once you’ve gone through the items in this checklist, I hope you feel more confident about making decisions and improving your hearing. Staff writer Barbara Jenkins, Au.D., BCABA, serves as Colorado’s professional state commissioner for people with hearing loss and was awarded the 2010 Leo Doerfler Award for Clinical Excellence by the Academy of Doctors of Audiology. Her office, Advanced Audiology, won the Most Humanitarian Hearing Care Office Award at the 2015 Signia Aspire Conference. For more, see advancedaudiology.com. This article also appeared in the Fall 2017 issue of Hearing Health.